The .300 AAC Blackout is one of the industry’s hottest new cartridges for hunting feral hogs with AR platform rifles. This is an extremely versatile cartridge that provides the ability to shoot subsonic ammunition for low-noise applications and supersonic ammunition for long-range shots. 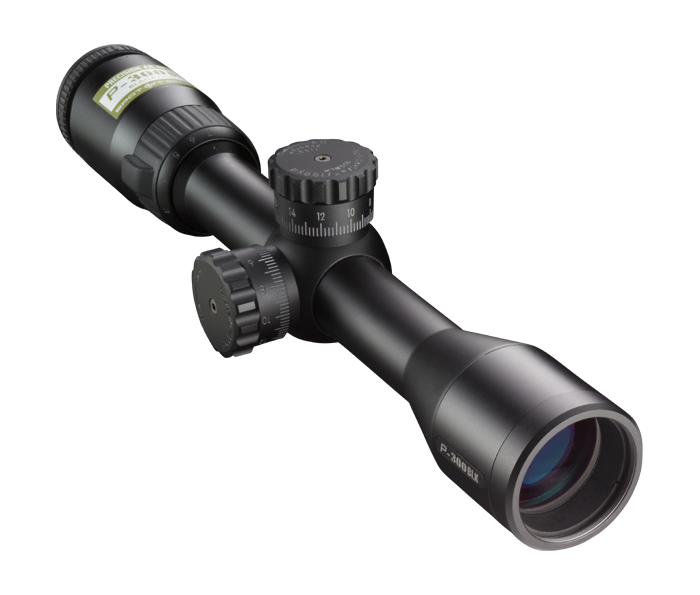 Nikon has developed the all-new P-300 BLK riflescope to harness the effectiveness of this exciting new caliber. Designed for the ballistic profiles of the .300 AAC Blackout cartridge in both supersonic and subsonic loads, the P-300 BLK is completely optimized for use with Spot On™ Ballistic Match Technology, which allows shooters to discover all of the exact aiming points on the BDC SuperSub reticle at different yardages for any ammunition and load. To simplify field adjustments, Nikon has integrated Spring-Loaded Zero-Reset Turrets into the P-300 BLK. Just sight in at 100 yards as usual, then lift the adjustment knob, rotate to your “zero”, and re-engage. Nikon engineered the entire optical system in the P-300 BLK to provide the shooter with maximum brightness and maximum light transmission. The result is an extraordinarily clear sight picture.